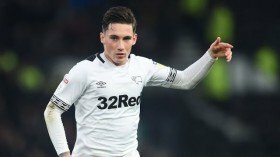 Liverpool have reportedly decided against recalling Harry Wilson from his season-long loan deal at Derby County at the turn of the year. The 21-year-old joined the Rams on a temporary basis during the summer and he has since stood out for the team with eight goals in all competitions. Amidst this, Lampard recently expressed fears that the Reds may recall him in the New Year but Liverpool ECHO suggests this may not be the case. As per the publication, the Reds are impressed with the progress of their academy graduate but they are unlikely to recall him midway through the season. It is added that the club want him to stay put with the Rams and they are willing to gauge his progress through the season before integrating him into the first-team next term. Aside from Wilson, Ben Woodburn has been another tipped to be recalled of late and the Reds may take up the option with the Welshman struggling for gametime with Sheffield United.